Rhoda Maxwell's first teaching job was at Black's Station, now the town of Zamora. She taught there for three years. 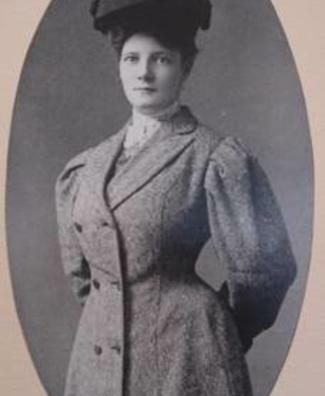 In 1893 she went to Enterprise for one year of teaching. In 1896, Maxwell went to Pleasant Prairie School (in the Plainfield area) and taught there for four years. The years 1898-1900 found her teaching at Oak Creek School. This was at Yanktown, located between Zamora and Dunnigan. In 1900, Maxwell returned to the Woodland School to teach under the direction of T.L. Whitehead who was principal at that time. She was made Vice Principal of the Woodland School in 1906 and continued to teach there until the new Primary School (also known as "Baby School") on Walnut Street was opened in 1918. Maxwell was made Principal of the new school and served there as teacher-principal until her retirement at the end of the school year, June 1938. In 1954, the Primary School on Walnut Street was renamed "Maxwell School" and served as a primary school until 1968 when it was closed to pupils and became the District Office for the Woodland Joint Unified School District. 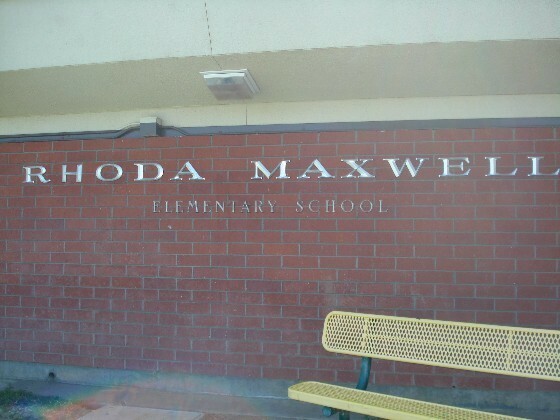 In April 1970 the "new" Rhoda Maxwell Elementary School was opened and once again Miss Maxwell's name is adorning a building full of children. The Maxwell family moved to Woodland in 1885. Their last home was at Cleveland and Main Streets. Rhoda lived there until her death February 19, 1957. Graduated from Woodland Grammar School on May 23, 1888 when C.E. Dingle was principal; the school was later named for him. Graduated from Hesperian College in Woodland on April 27, 1892. Earned teaching credential from California State Normal at San Jose, California on January 31, 1896. Rhoda Maxwell taught art and music courses. She created original costumes and designs for school productions. As a young girl she hand painted many dishes (bowls, vases, etc.) that were fired in the kiln. She liked to do sketches, first in pencil then in charcoal or water colors. She would use this talent to record things of interest just as we now use our cameras to take pictures of things we like. The two large portraits hanging at the "new" Maxwell School are really charcoal drawings of her parents. Maxwell used the small photographs as guides. She played piano and was considered quite a competent pianist. Her piano was donated to the Yolo County Historical Society. While in college at San Jose, Rhoda Maxwell constructed an astronomical telescope with a powerful lens, making it easier to study the stars.